Vanuatu Association of Sports And National Olympic Committee (VASANOC) chief executive Henry Tavoa has hailed the success of the recent Pacific Mini Games in the country. Tavoa, Chef de Mission for the Vanuatu team at the Games, declared that "everyone was the ultimate winner in every sense" following the conclusion of the event in Port Vila. VASANOC officials also thanked the Government for their support of the Pacific Mini Games, where 24 nations participated in 14 sports. "Vanuatu is now richer than ever before with the trained volunteers - staff, event managers, technical sports experts, security personnel, traffic control, catering, media, medical staff and in many more areas," said Tavoa. "The spirit of Vanuatu was truly ignited by these Games and we pray it will continue to burn brightly and brighter in the years to come. 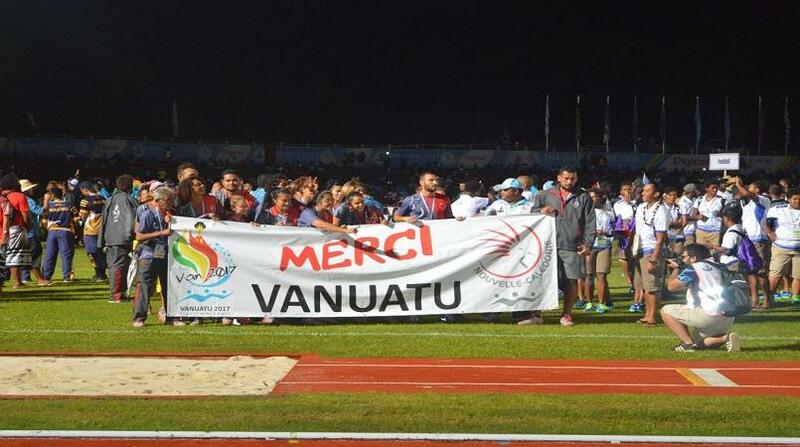 "The athletes indeed won the medals but VASANOC believes all of Vanuatu was the ultimate winner in every sense." Vanuatu used home advantage to finish fourth in the medals table with a total haul of 77 medals, 22 of which were gold. New Caledonia topped the standings with 47 gold medals, with Papua New Guinea, hosts of the main Pacific Games in 2015, second with 33. Fiji followed in third place having won 23 gold medals, one more than the host nation. "VASANOC would also like to express its deep appreciation for support from the Vanuatu Government, each Minister and Ministry, the Chinese Government and for the commitment over the past year by the Vanuatu 2017 Organising Committee and its sponsors and stakeholders," a statement from VASANOC read. "In addition, VASANOC would like to sincerely thank its own board and staff, all of whom have worked tirelessly along with the National Sports Federations, to ensure Vanuatu hosted an outstanding event."